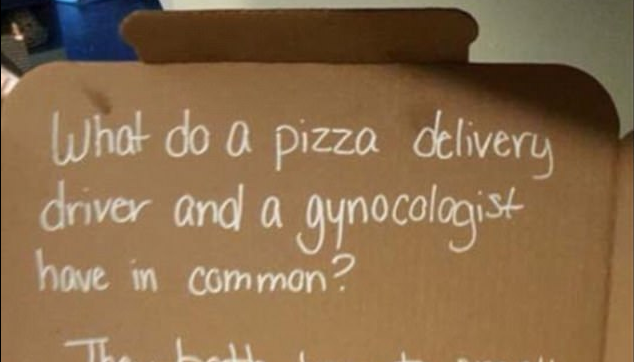 Two teen boys ordered a pizza from Pizza Hut and in the “special requests” section they asked for the delivery driver to write a joke on the box. So he did. Not long after that, he found himself sitting in the unemployment line. Apparently his joke was a little too inappropriate, according to the mother of the boys who complained to the company and got the man fired. 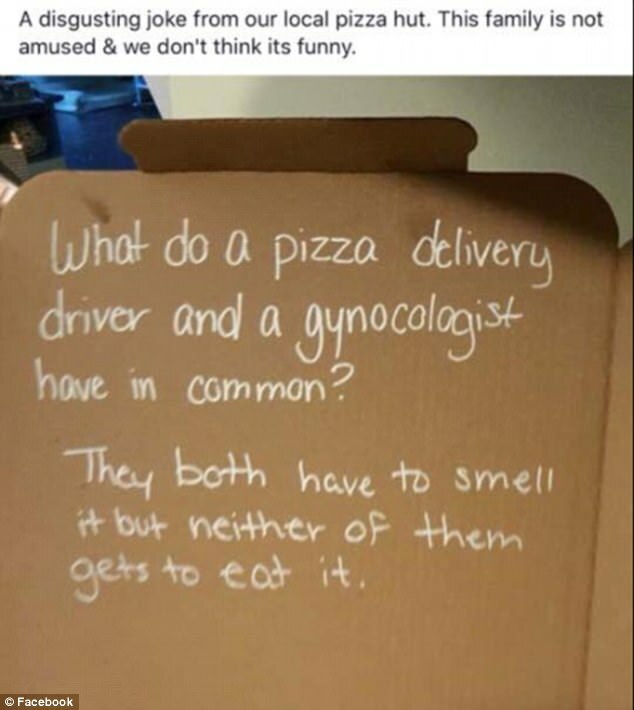 She posted the joke to her Facebook page and then took her complaint to the local pizza joint. I can understand how this might be a little much for teens, but to fire the guy over what is essentially a tasteless joke might be a little far. Maybe take him off delivery duty? Social media users had mixed reactions to what she did, with many sending her harsh messages asking her to take back her complaint. She also noted that she didn’t want the man to get fired, but the store ultimately made the decision to send him on his way. The employee did call the woman and apologize for his “joke,” but it wasn’t enough to keep management from axing him. Okay, so this is not a joke you tell in mixed company. You have to know your audience pretty well to know how this will go over. I won’t defend his use of it on a random pizza box for a family he doesn’t know. He probably thought he was being funny and didn’t realize it was not appropriate for all audiences. Firing him, though? Perhaps a formal reprimand and not letting him do any special deliveries, and a week-long probation with no complaints, but to just fire him outright? Were there any problems with him before this that may have factored into this decision? Pizza Hut didn’t give a statement when contacted, so we don’t know much about that yet, but to get fired right before Christmas is definitely a bad break.